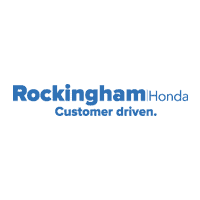 Emmett Horgan opens the doors of Rockingham Motors with a small, dedicated team of 30 employees. Over the years, Rockingham’s deep roots have extended throughout the Greater Salem Community. We are very proud to have grown our team to nearly 100 members! We have grown due to our “Customer Driven” credo. By treating every one of our neighbors with respect, we remain true to the mission that Emmett set down back in 1985. We provide each and every customer a high-quality experience every time they walk through the door. Today, the Rockingham family business includes a second generation. Emmett’s son Ryan is helping to lead the charge and is committed to continuing our customer driven approach at our new location at South Broadway.